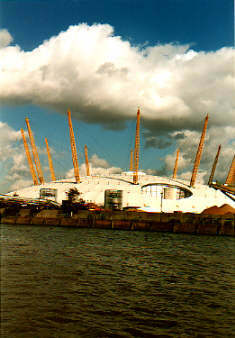 We made some pictures of the Millennium Dome. We wanted you to show you these pictures. To do that, we also had to write some text (otherwise this page would be rather boring). And although we knew what the Dome looked like, we didn't know very much about it. It has some financial problems. Conservative Prime Minister John Major sets up the Millennium Commission. The site opposite Greenwich is selected. A feasibility study into the business sector's contribution to the Dome shows a huge financial shortfall. Deputy Prime Minister Michael Heseltine announces the government will underwrite all Millennium Exhibition costs. Labour announces that if it wins the imminent general election, it will back the project. Once istalled in Number 10, Prime Minister Tony Blair - against cabinet resistance - gives it the go-ahead. Ten Labour MPs call for the project to be abandoned because of the "severity of financial problems inherited from the previous government in health, education and transport". A German company wins the commission to build the Dome after the only British company to bid pulls out due to the size of the project. But the contract eventually goes to the American, but Japanese-owned, company Birdair. 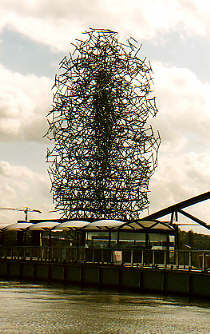 Labour minister Clare Short refers to the dome as "a silly, temporary building". Questions over the safety of Birdair's Teflon design are raised in America, following reports of disasters involving the material. The German company who lost the deal threatens legal action despite financial compensation. The first Tube trains to serve the Millennium Dome come on stream in May, 14 months late and £1.2bn over the budget. June 22, the Dome's external structure is, finally, completed. Tickets go on sale in September. In November, the New Millennium Experience Company receives a £50m public subsidy loan to cover cash flow difficulties. The pay-out from the Millennium Commission will become the first of several large hand-outs to keep the attraction going. UK retailers report low or non-existent ticket sales for the event, despite a £4m advertising campaign. The prime minister gives his strongest backing yet to the Dome, claiming it will be "a triumph of confidence over cynicism, boldness over blandness, excellence over mediocrity". The Dome's big day is a flop. Problems begin at Stratford station where 3,000 guests are forced to queue for hours as their tickets fail to arrive through the post due to an administrative error. Delays are compounded as guests, many of them in evening dress, are subjected to security checks before being allowed to board special Jubilee Line trains to take them to the Dome. The first members of the paying public see the Dome, feedback is generally positive. 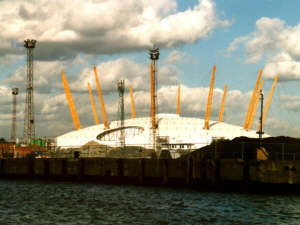 MPs decide to launch an inquiry into the problems which blight the Millennium Dome, including complaints about two-hour queues to see the most popular attractions. Figures reveal that only 344,620 people visited the Dome in January - 3% of the original yearly target. Following unfavourable comparisons with the London Eye Millennium Wheel, the Dome is now embarrassed by the recently-opened Tate Modern, which has attracted 120,000 visitors in its first three days of opening - in stark contrast to figures at the Dome, which is struggling to admit 20,000 visitors a day. 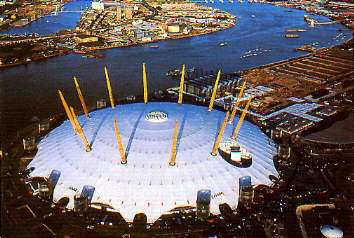 Newspapers claim the decision to proceed with the Dome was backed by only five members of Mr Blair's 22-strong cabinet. The Conservatives call for the Dome to be closed. Ticket prices for the Dome are reduced by up to 50% in a final attempt to reverse the continuing slump in visitor numbers. The Dome receives an extra £47m from the Millennium Commission to stave off an early closure. Tony Blair finally stops defending the Dome and admits that it had failed to meet public expectations. Michael Heseltine, the politician who commissioned the Dome admits that it should not have been built. The National Audit Office publishes its report into the Dome. 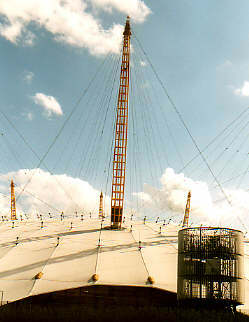 At 31 December 2000, the Dome's year-long exhibition has closed. There are still lots and lots of discussions about what to do with the bloody Dome. David James, the dome boss, comments: "You are talking about several years and some hundreds of millions of pounds and there is a huge credibility problem." Our conclusion: we haven't heard the last word about the future of the Dome. If you want to keep informed (or if you want to read the full version of the timeline), check out the BBC's Millennium Dome site.